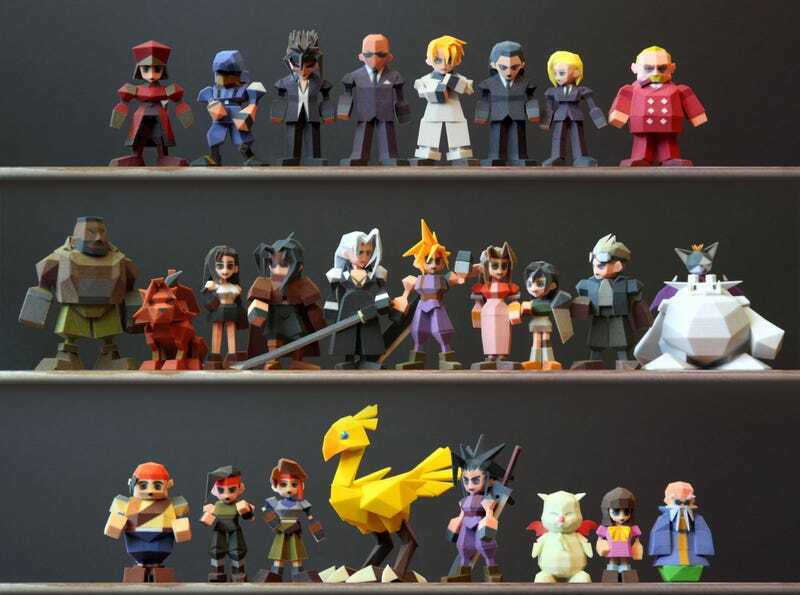 The Cast of Final Fantasy VII, 3D-Printed. It's Fantastic. We've featured the work of Joaquin Baldwin before, but now he's back with a full set of Final Fantasy VII low-poly figures—and they're up for sale, too. If the figurines are of interest, you can purchase them here. Otherwise, kind of amazing how well the 'graphics' work when it's toys we're talking about, eh? You never think, oh, this looks ugly or dated.